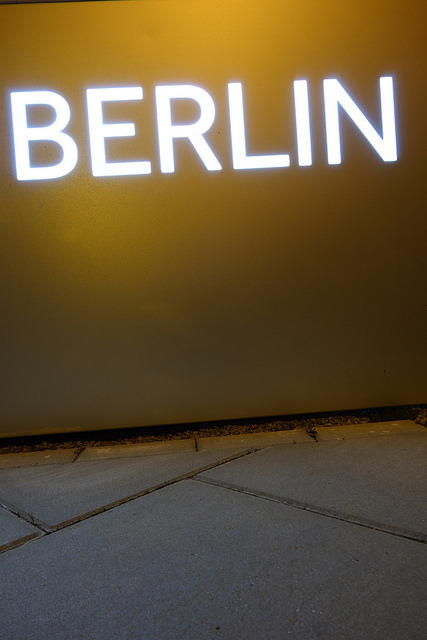 Berlin bakes – a dry heat. museum and the memorial for homosexuals who were rounded up and murdered by the nazis. that – if all this is replayed – my friends and I won’t make it out alive. some have little pictures of a family of four – holding hands, fleeing to the left. who sieg heil in veneration of a loser as they tear up the streets – not an isolated case. would have to spend my twenties fighting nazis . I’m tired, and that’s how they win. I rewatch Cabaret and scream with Sally in a tunnel as the trains pass overhead.